So far, so good - Thursday is starting out Migraine free! And I've already been on the computer for almost 2 hours. Let's hope it stays good! I'm not sure what the name of this fold is, but I folded the piece of cardstock in half, then folded the front in half, back on itself. Does that make sense? 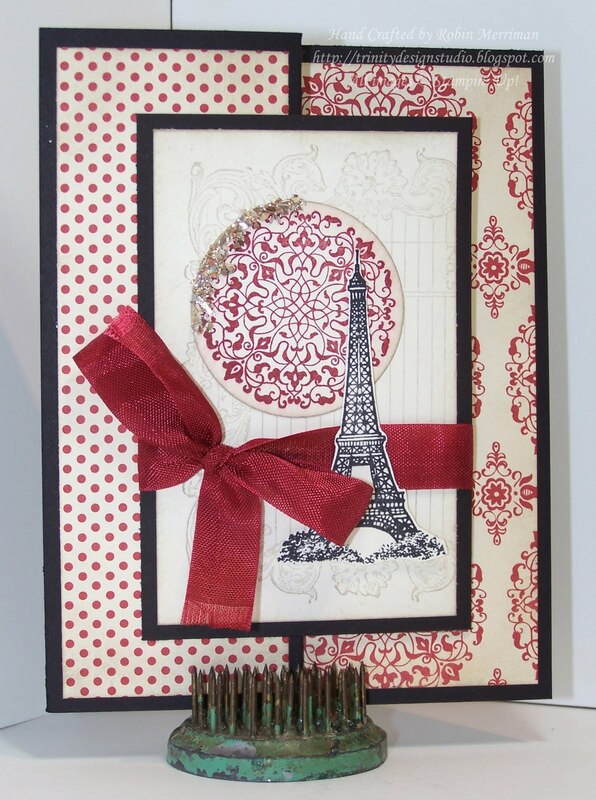 I really think the Love Letter Designer Series Paper is just the BEST! 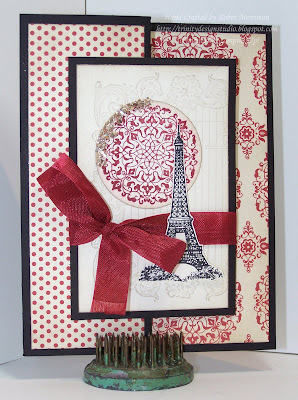 The patterns are wonderful and I love the color combo of Cherry Cobbler, Basic Black and Vanilla. 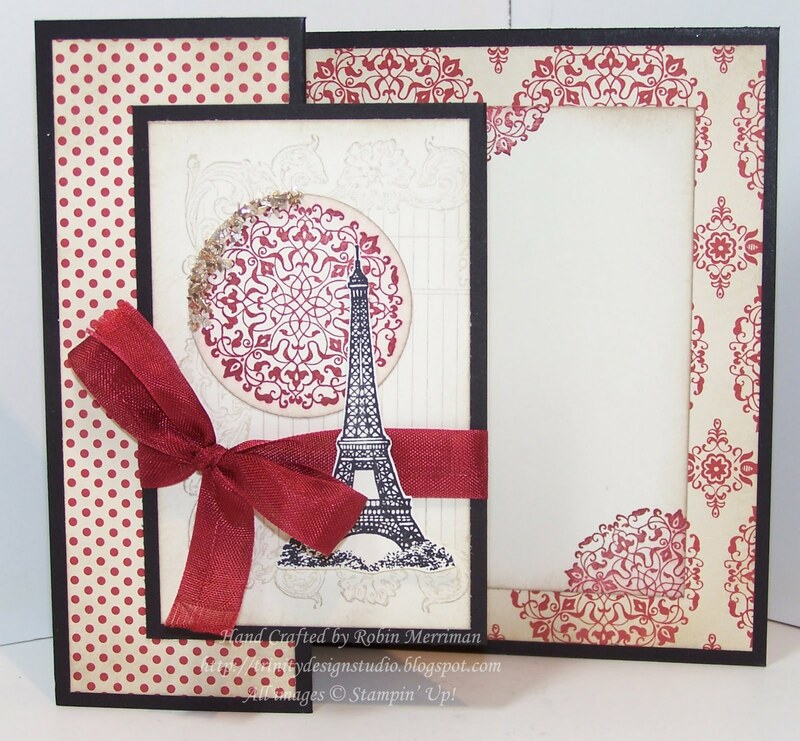 Great for many styles and types of cards. I used a bit of Tombow Multi-Adhesive to apply it - worked like a charm! This card has lots of little elements, but really, it came together pretty quickly. Want to find out for yourself? Well, if you attend my Just Cards class this month, you'll get to make one of your very own! 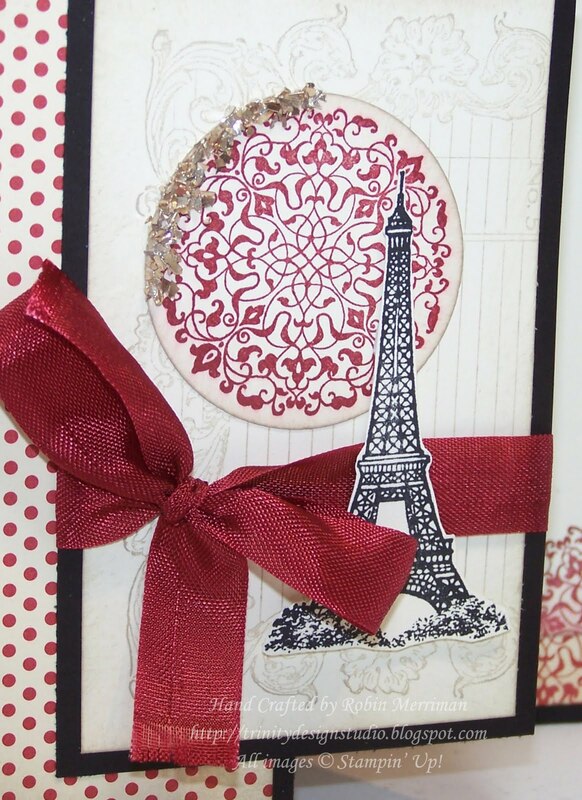 The class is Monday, March 14th at 10 am and you'll create 5 beautiful cards for just $15. All supplies included! I hope you'll join me! Just send me an e-mail to RSVP! Love, Love, LOVE this card!!! And it's even MORE gorgeous in person!! Ooooh La La! !